Start your summer fun by planning your Memorial Day weekend menu today! 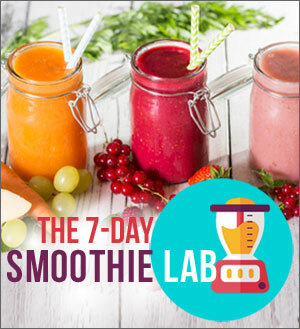 There is no reason why your cookout can’t be full of healthy yet delicious fare — all the dishes people know and love, like burgers, baked beans, fruit salads and brownies done the skinny way! 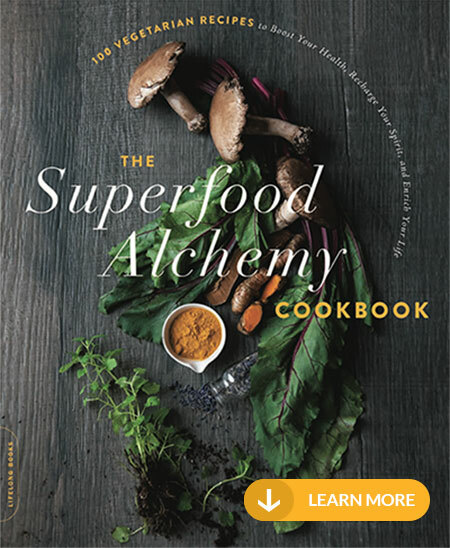 Cooking with superfoods and using healthy recipes is the key, so I’ll share my favorite skinny recipes to both spoil and nourish your family and friends. Iron rich beef can be healthy when you choose lean cuts. Beef contains heme iron, which is more readily absorbed compared to the plant-based iron sources, called “non-heme”. If it’s in your budget, go grass-fed. Milk-producing cows, sheep, and goats have ruminant stomachs that digest grass and vegetation. They create a special fat called CLA (conjugated linoleic acid) that is linked to a decreased risk of heart disease and diabetes. 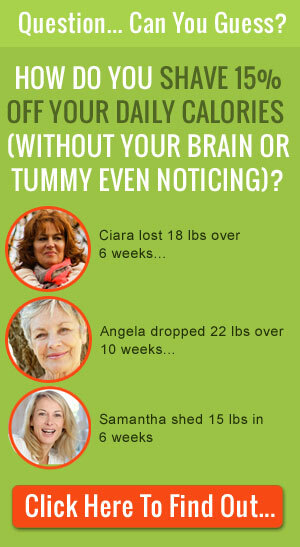 CLA has even been shown to help fight belly fat. And grass-fed beef, just like dairy, contains the same nutrients. Looking for leaner beef? Here’s an easy way to ensure your ground meat is lean: just purchase stew beef cubes and process it through a meat grinder or chop it in your food processor. 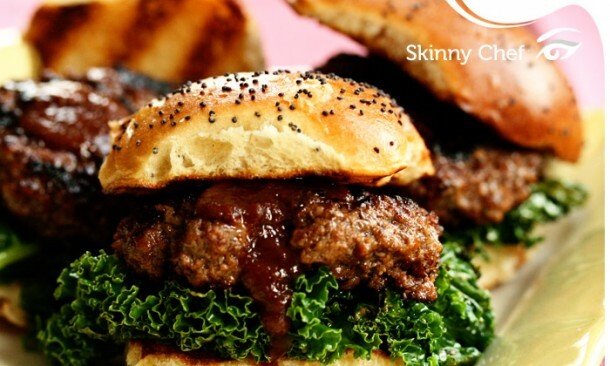 Aim for 4 ounces of red meat to cut back on fat, but still enjoy your burger. Or try making mini burgers so there is more room on your plate for salads and veg. Turkey is a lean mean protein source that does great on the grill and is high in a host of B vitamins, B3 great for cholesterol control and B6, important for proper nerve function. Check out my turkey burger recipe to get the secret to keeping them moist. Top with fresh baby spinach or grilled kale for a super hit of nutrition. Turkey is very high in tryptophan — an important nutrient for sleep since it’s the amino acid that makes up the hormone melatonin (MLT) which helps regulate your sleep and wake cycles. That said, don’t worry that you’ll fall asleep at your cook-out, since the amount of tryptophan is similar to the amounts you’ll find in most seafood, not enough to turn you into sleeping beauty. Shrimp is a superfood protein because it’s high in astaxanthin, an anti-oxidant that is being studied for its ability to stop cancer cells from reproducing. Shrimp is low in calories, but many people are concerned with shrimp being high in dietary cholesterol. However, a large Harvard study on 20000 nurses showed that cholesterol from food does not significantly raise blood cholesterol. Shrimp are also high in selenium, needed to grow hair, and high in Vitamin B12, crucial for red blood cell production. 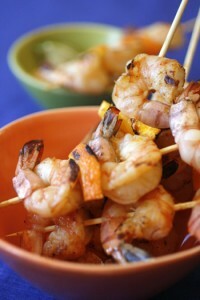 Try my orange chipotle shrimp on the grill as delectable finger food. Pizza on the grill might sound strange but it cooks quickly and there is no need to turn on the oven! When you add spinach, you’re getting the A, B, C’s of nutrition, including vitamins A, B and C plus plenty of vital minerals like copper (that works with iron for healthy blood cells) and zinc (important for the immune system to ward off bacteria). 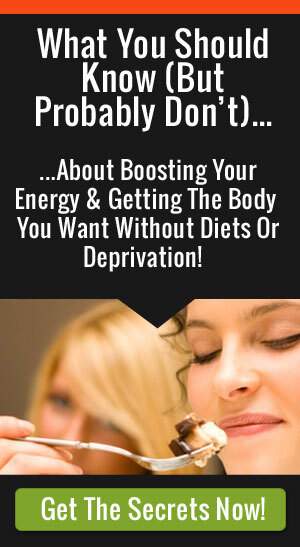 Chocolate is one of those sinful treats that can be healthy if you do it right! Using 100% unsweetened cocoa powder as a base for your brownie recipe and scaling back on sugar is a great way to cash in on chocolate’s health benefits while you enjoy the occasional dessert. Add omega-3 rich walnuts for extra crunch and richness tho these espresso brownies. Jennifer, this blog just completely made my weekend. I now have several new ideas for things to make for my weekend barbeque. I had never thought to make pizza on the grill. That is something that I definitely want to try. I think my guests will enjoy something a little different for a change. This would even make a great appetizer while everything is preparing. The espresso brownies sound delicious. I am a big fan of chocolate. It looks very easy to make and I like that they are healthier than regular brownies which makes them perfect for the occasional treat.